I am a member of the Collective Bias Social Fabric Community. This shop has been compensated as a part of a social shopper amplification for Collective Bias and its advertiser. This post is not a healthcare professional’s opinion. All opinions are my own. Recently we’ve started a journey. The journey on the road to improved health. Since being diagnosed with type 2 diabetes, I knew it was time to start taking a more serious look at what and how I was eating. So we started a low carb lifestyle, Sometimes though, just eating right isn’t enough. I’ve started taking a collection of supplements, some recommended by my doctor, some based on my own research. 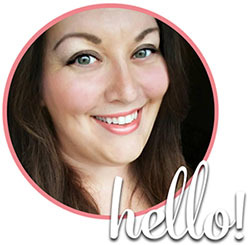 While I can’t dispense medical advice (hello! I’m not a doctor!!) I can tell you about my experiences and what I have found works well for me. Probably the biggest supporter of my new healthier lifestyle was the decision to take a natural probiotic. 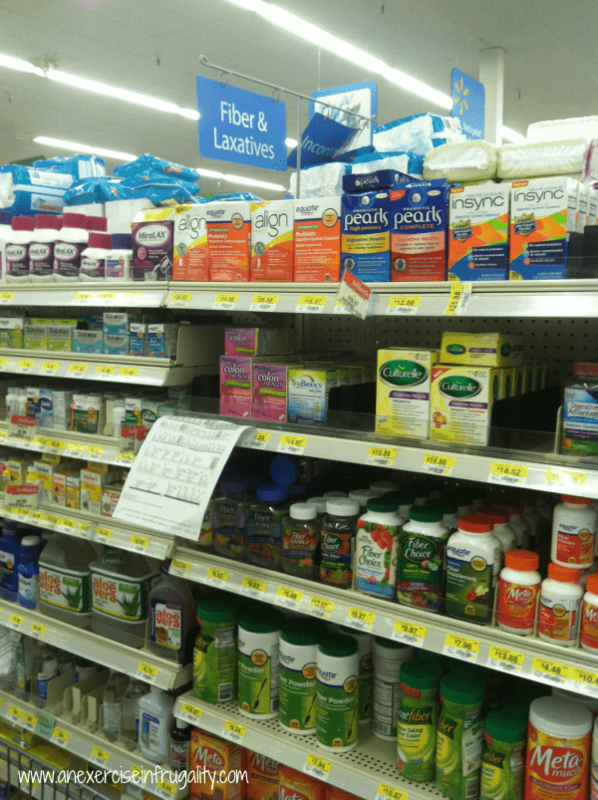 Insync Probiotic is brand new at Walmart, they were still setting up the display when I spotted them! My doctor recommended that I find a supplement that includes B. infantis to aid in digestive system balance. 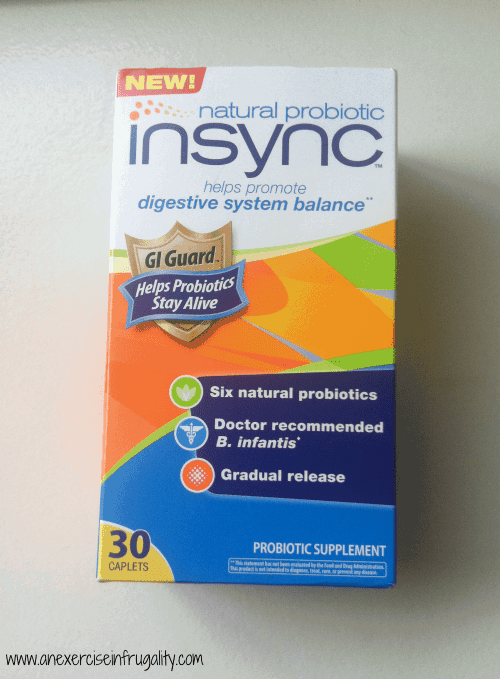 When I compared different brands at Walmart, I discovered that Insync Probiotic contained more probiotic strains, and more B. infantis than the other major brands, so that is what I went with! I love the fact that I can get probiotics in pill form since I’m not a fan of foods that contain probiotics like yogurt and kombucha. But of course, probiotics alone aren’t enough to make you healthy. You have to have a healthy lifestyle to support it! So we’ve cut down on our refined carbohydrates, we are eating more fruits and veggies, and we are trying to eat less-processed foods. 1. Cinnamon: Sounds strange but cinnamon capsules can help keep blood sugar low, thereby potentially reducing or eliminating the need for diabetic medications in some cases. 6. A well-rounded multi-vitamin: There’s many to choose from, but I chose a comprehensive one made from whole foods and natural ingredients rather than synthetic. Again I am not a medical professional, but these are things I have found beneficial and use myself. I believe that these supplements have helped me to feel my best on a daily basis. They have become an important part of my daily routine! In addition to the above supplements, we’ve also started gradually increasing our activity level. Its important to have a healthy active lifestyle. What’s all this got to do with being frugal you ask? Well, medical bills are expensive. So if it means a little up front costs to help me live a better life, then its worth it! Every person is different, your nutritional needs will vary depending on a number of factors including your age, weight, diet, fitness level and a number of other things. It’s best to discuss with your primary care doctor or a dietician to make sure your needs are met. They will likely check your bloodwork for deficiencies. Once I had my labs done, and found out what I was deficient in, I selected my supplements accordingly, and I have to say I haven’t felt better in years. It really does make a huge difference! 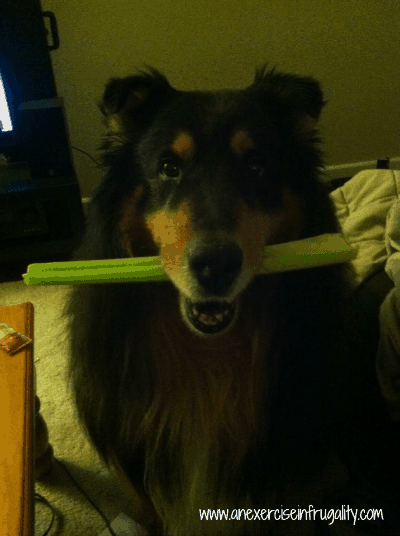 Even Bear has gotten in in the healthier lifestyle choices…. 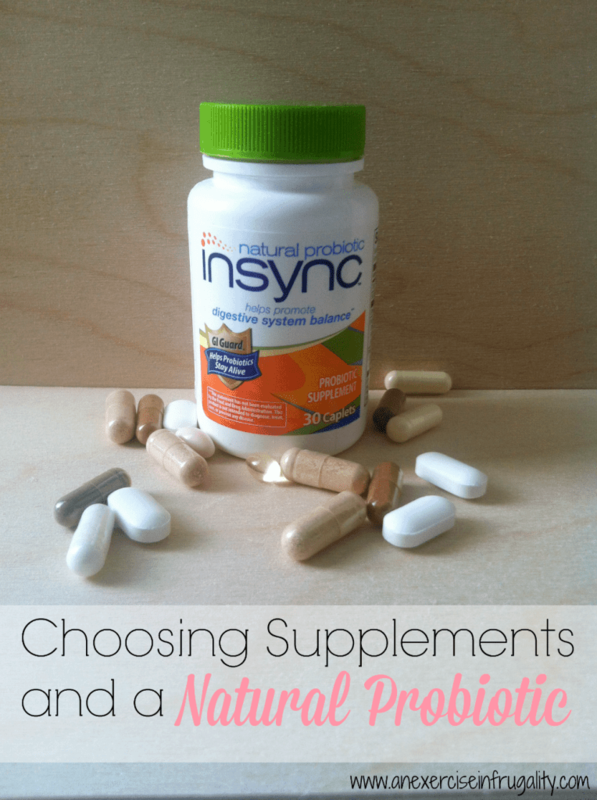 Do you take probiotics? 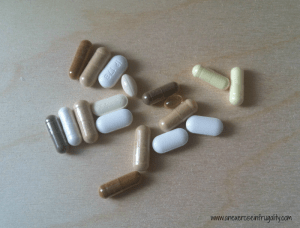 What supplements do you use to support a healthy lifestyle?